LIFE-WEBS Project - is a collaborative project aiming to use a meta-analytic approach to investigate how food webs typically respond to latitude, elevation and human pressures such as land-use change. We are interested in all types of food-webs. E.g. mutualistic, host-parasitoid, host-parasite, plant-herbivore, predator-prey. Food web structure and characteristics change across environmental gradients, and are also likely to be influenced by human activities. 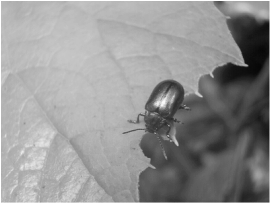 Help us to understand how food-webs between herbivorous insects and their host plants respond to latitude, elevation and changes in habitat quality. Help us to review global patterns in plant-herbivorous insect food webs. Read more about the global food web project. The LIFE-WEBS project is collecting data from scientists worldwide in order to produce a global database of food webs between mutualists, host-parasitoids, host-parasites, plant-herbivores, predator-prey. We are very thankful to the researchers who have contributed to the database so far. If you have data that you would like to contribute, please look at our contribution page for more information.